(L-to-R: Tracy Schwarz, John Cohen, Mike Seeger) The New Lost City Ramblers brought old-time string band music to the folk revival before it could rightfully be called a revival. 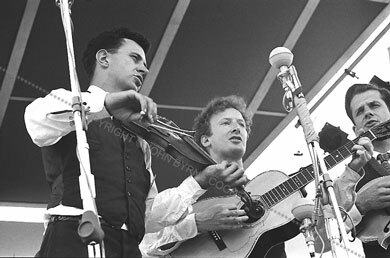 Formed in New York City by Mike Seeger, John Cohen and Tom Paley (who was later replaced by Tracy Schwarz), the group made three albums for Folkways by 1961. The NLCR's recordings and performances, together with the appearance on the folk circuit of Clarence Ashley's family of traditional musicians, were the two most important factors in the revival of interest in old-time music that has continued to the present day.